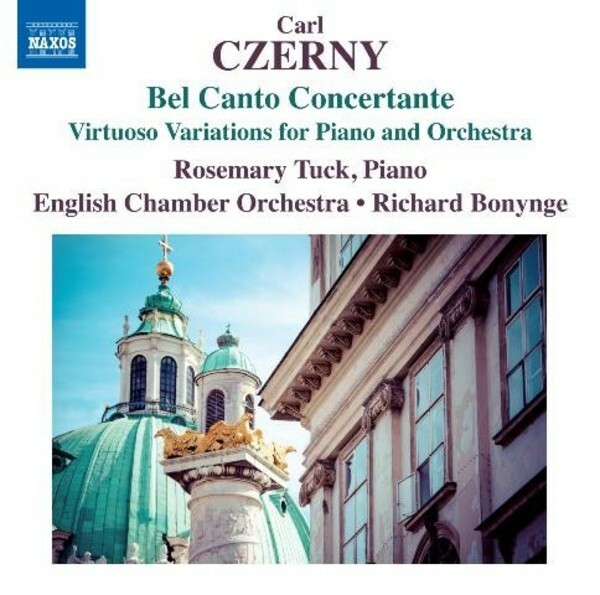 Carl Czerny is remembered as a pupil and friend of Beethoven and the composer of numerous piano studies, but in his lifetime he was renowned for a prodigious output of brilliant concert works, most of which remain entirely unknown to present-day audiences and performers. Inspired by the most famous and attractive themes from Bel Canto operas, which were hugely popular in their time and are still performed today, these sets of variations give full rein to the soloist and are a major contribution to the great pianist-composer tradition. The Australian pianist Rosemary Tuck studied with Walter Hautzig at the Peabody Conservatory in Baltimore and with Andrzej Esterhazy, himself a pupil of Neuhaus, in Moscow. She represented Australia in a series of recitals in America under the auspices of the Australian-American Bicentennial Foundation, including a recital at Carnegie Hall. She has performed in the Sydney Opera House, at the South Bank Centre in London, the National Concert Hall in Dublin and at the Aarhus Festival in Denmark in the presence of Queen Margrethe II. In 2001, she gave the first official performance in the William Vincent Wallace Millennium Plaza in Waterford, Ireland and has appeared in an all Wallace programme in London conducted by Richard Bonynge.